Forgot your wallet at home? Craving takeout from a restaurant that is too far from where you are? Need to send important documents to the post office but stuck in a meeting? Well, you’re lucky, because Dunzo can take care of all these things for you, all at once. Living in a big city makes it hard to commute from one place to another for basic, important tasks. 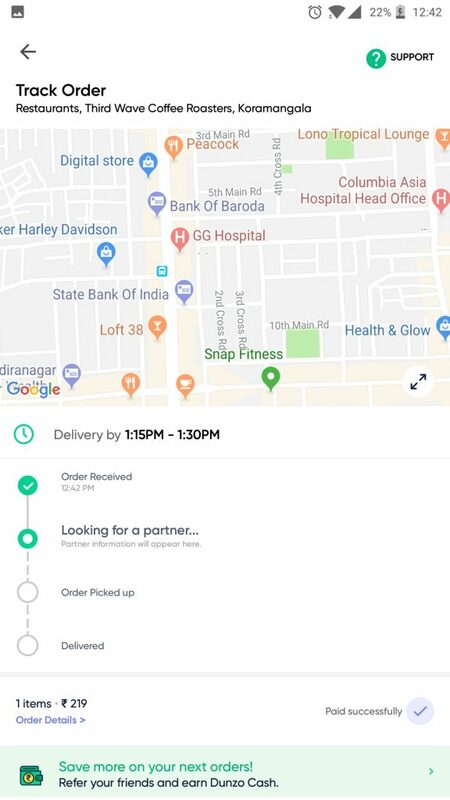 Dunzo is a mobile app that allows you to place orders for literally anything, and have it delivered to your doorstep in less than 60 minutes, wherever you are. In a big city, having an app that helps you send packages to someone who is far away, is a blessing. Dunzo started as a WhatsApp group that delivered anything you needed in less than 60 minutes, from documents to a potato. 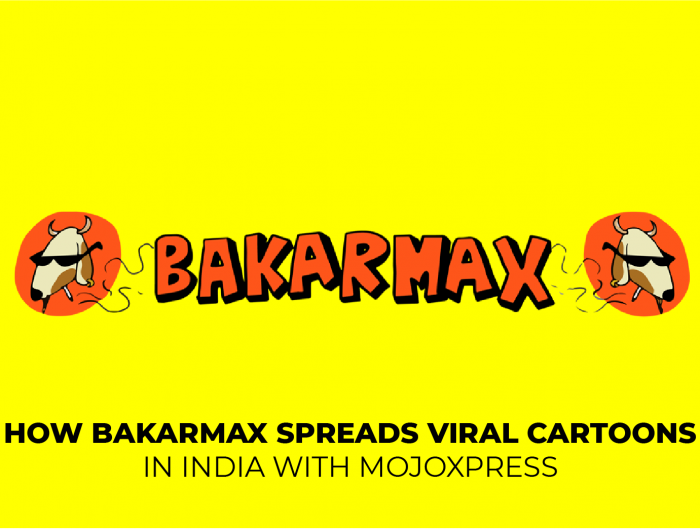 It has now grown exponentially into a task management app that caters to over 4 metropolitan cities, with hundreds of thousands of transactions taking place daily. If you ever need to complete or manage your daily tasks, Dunzo is the app you need. 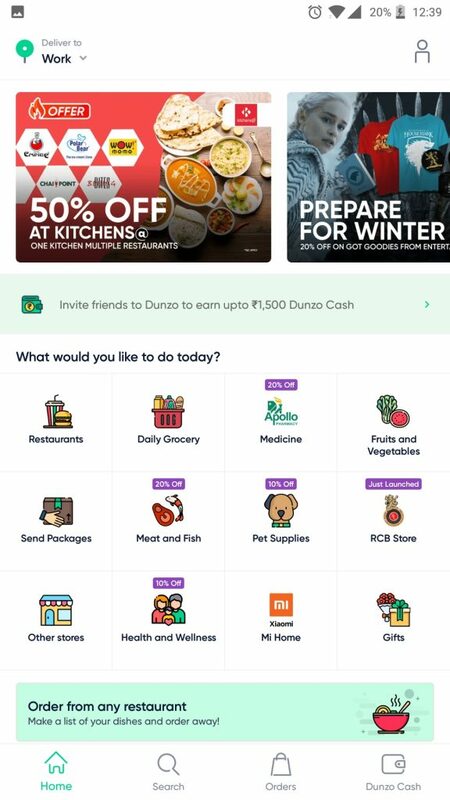 Following the digitization of online payments in India, Dunzo is one of the few apps that only accepts online payments for all their purchases and tasks. Once the acceptance of a task takes place, Dunzo assigns a delivery executive who carries out the task for you. 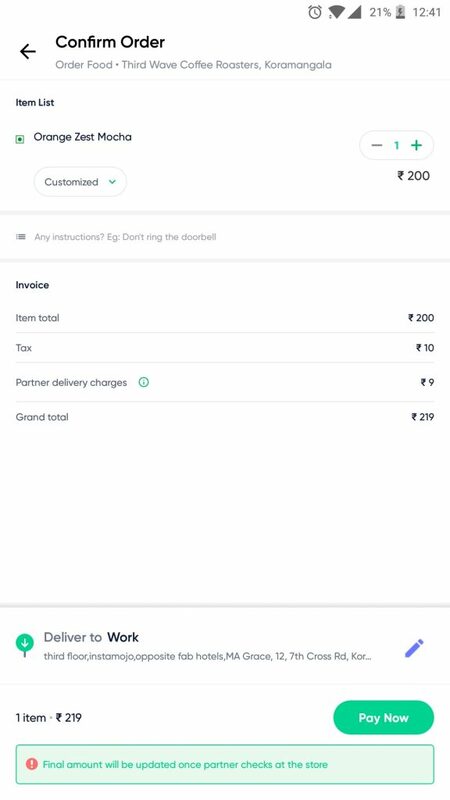 The new UI of the app asks for online payments upfront, with any additional charges levied later. However, to save the time of the customer, delivery executive and the app, all payments are taken care of beforehand. 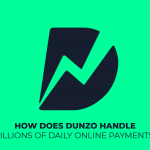 So, if there are so many daily online payments taking place on Dunzo, how is it all managed? We had to come into the picture sometime. 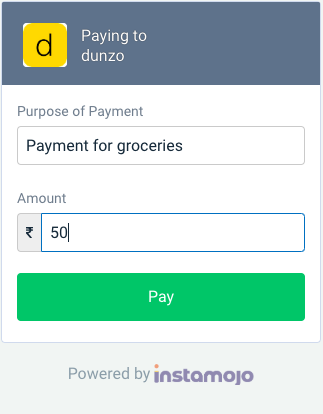 Dunzo uses different payment modes and Instamojo facilitates those payments. Step1: Choose your task for the day, whether it is purchasing groceries, sending a package to someone or buying a gift. Step 2: Place your order, select your items or confirm your task. Step 3: Click on ‘Pay now’ and open the Instamojo payment link to proceed with payment. Fill in the basic details needed before payment. Step 6: Enter your Card details get redirected to the payment portal to complete the transaction successfully. 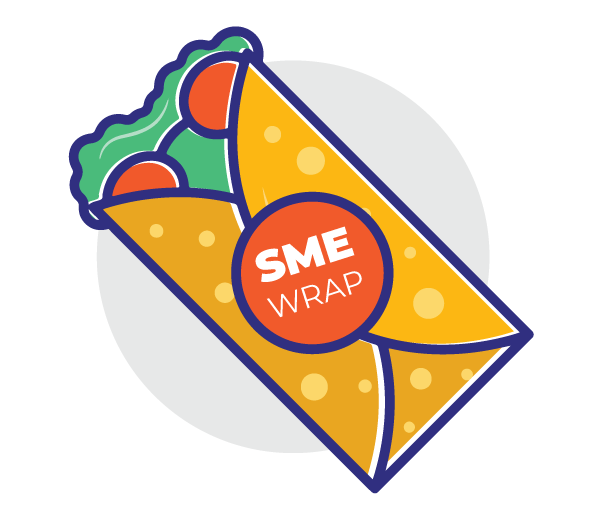 Final Step: Once the transaction is successful, you can track your order, and view when a delivery executive is assigned to carry out the task. 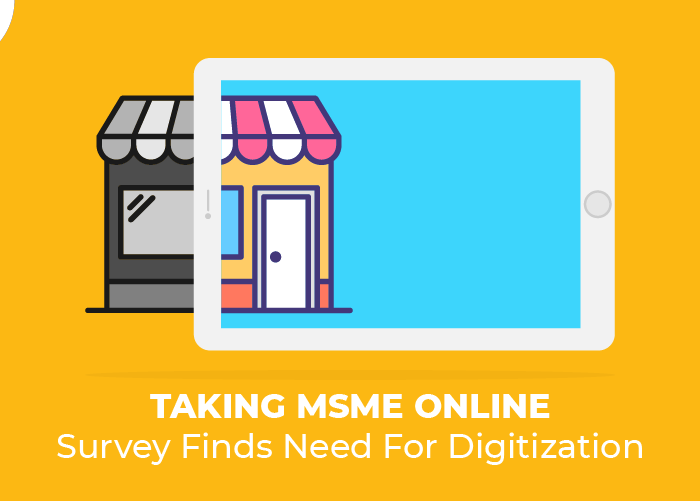 Companies like Dunzo, that rely mostly on online payment transactions require a payment gateway that will provide hassle-free checkout experience. This is where Instamojo comes in, enabling faster payment experience for both Dunzo and their customers. Similar to how Dunzo has several options to pick and choose from (restaurants, clinics, pet stores), they need to offer different payment options as per their customers’ choices. 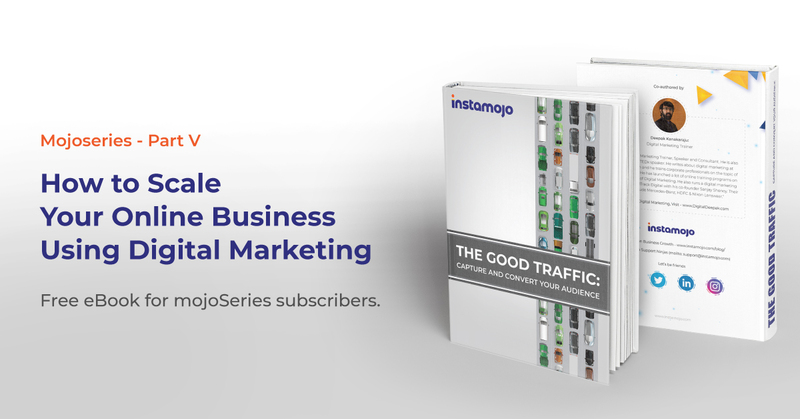 using the Instamojo payment link. the customer picks a preferred payment option, everyone is happy. 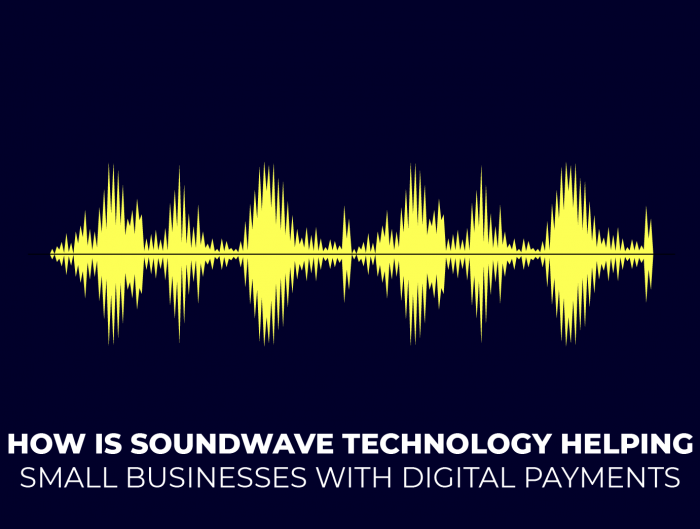 Does your business need a hassle-free payment experience? Get your own Instapay button on your app/website.